It’s usually always raining in London, especially this time of the year. You know the saying, “April showers bring May flowers.” In Dubrovnik, spring has sprung and it is nothing but blue skies and sunny weather. To our friends in England, come on holiday and make Croatia your destination! The flowers have already bloomed! Many of our visitors come from England. In fact, they are the number one tourists as calculated by the number of arrivals in Dubrovnik. We know you want to get away and take a warm, fun, sunny holiday and Dubrovnik is the place to do it. Flight time from London to Dubrovnik is 2 hours and 40 minutes and that is direct. No stops or layovers for this fun-filled holiday! We know that the HBO television series, Game of Thrones has really put Dubrovnik on the map, but the English have known about Croatia for quite some time and they show no sign of slowing down with their visits. As a touring company, we understand that your time in Croatia may be limited. We want to help you get the most out of your visit. At Tour the Game of Thrones, we pride ourselves on being able to customize your tour and show you all that this city has to offer. Recently we had the privilege of hosting a young British couple. The wife was pregnant so we had to make sure that everything went well and that she was comfortable with the pace. The tour ended up lasting a bit longer because of her needs. This tour showcased how we are extremely flexible and ready to customize the tour since we only run private tours. We don’t host tours that must stop and finish at specific times and places. We are here to accommodate your needs and wants. If you are looking for a touring company that will work with your schedule and allows you to see things you are specifically interested in seeing then Tour the Game of Thrones is just your cup of tea! 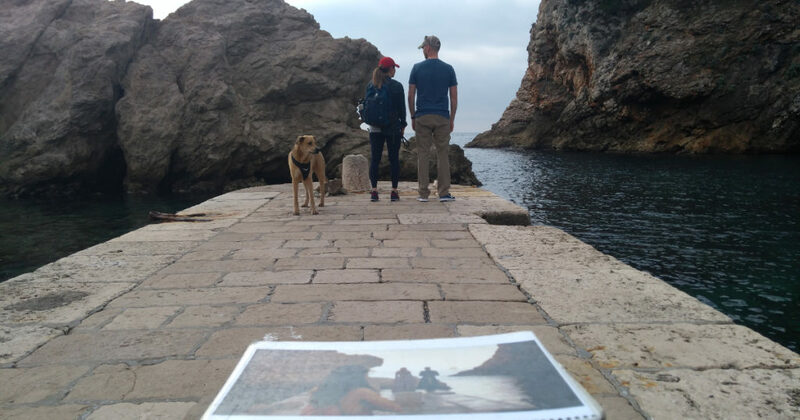 We are a full service, privately run touring company and we are here to show you not only great locations from the filming of Game of Thrones but the history and culture that is Croatia. When you tour with us, you are allowing us to show you things you can only see by a local who has resources. We want you to feel comfortable and happy when you are touring and we want to educate you on many things you think you may know (but actually don’t!). Visit us at Tour the Game of Thrones and let us take you on an excursion you will never forget. Dubrovnik is a rather small city so this makes it quite accessible and allows you to see everything you wish to see in a short amount of time. When you come from London, leave the rain at home. Just come and enjoy the beauty that is Croatia. We visited Dubrovnik via the Celebrity Reflection and were fortunate to have Tom as our guide. We enjoyed the garden where so many GoT scenes were filmed, then had a great walking tour of the city. When we finally had the chance to see season 4 of the GoT HBO series, we were able to pick out a number of places and say, "We were there!" Tom was great to work with, particularly since one member of our party was in a wheelchair. Tom's knowledge of the GoT and the history of the area was wonderful.